One of my favorite things is a book that I get pulled right into, a book that I simply don't want to put down. As in her other books, from the very first page, I was pulled into the story in the most recent release from Carol J. Post, A Bodyguard for Christmas. The pace of the story never slowed, even as she provided the details necessary to develop the characters and share the back story. I found myself unwilling to put down this entertaining, suspenseful, action-packed, fast-paced story that kept me wondering what would happen next. There were a number of twists and turns that left my heart racing and worrying about Colton and his son and then, just when you thought it was safe for the family to return to normalcy, danger was lurking on the next page. The healing that is experienced by both Colton and Jasmine through the course of the story is wonderful. I especially liked the way in which it catches Jasmine (the bodyguard) off-guard when she realizes just how much her relationship with Colton and his son, the attachment that Colton's son has developed for her and what she learns through Colton about faith and God has helped her heal from the events in her past. The romantic tension and the Christmas season provide a nice back-drop and help serve up a dramatic conclusion at Christmas. I thoroughly enjoyed every minute of this book from the danger, to the mystery, to the romance, to the discovery of the power of faith. 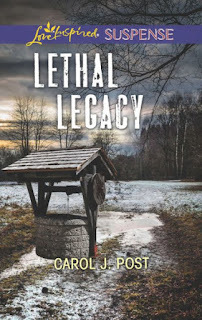 If you enjoy suspense stories, you should definitely check out this book and the others by Carol J. Post. Bodyguard for Christmas was the third book in the Murphy series, but can be read as a stand alone from the other books in the series. From medical secretary to court reporter to property manager to owner of a special events decorating company, Carol's resume reads like someone who doesn't know what she wants to be when she grows up. But one thing that has remained constant through the years is her love for writing. She started as a child writing poetry for family and friends, then graduated to articles which actually made it into some religious and children's publications. Several years ago (more than she's willing to admit), she penned her first novel. In 2010, she decided to get serious about writing fiction for publication and joined Romance Writers of America and her local RWA chapter. Carol lives in sunshiny Central Florida with her husband of thirty-two years, who is her own real-life hero, and writes her stories under the shade of the huge oaks in her yard. Besides writing, she works alongside her music minister husband singing and playing the piano and holds the position of church treasurer. She enjoys sailing, hiking, camping, almost anything outdoors. 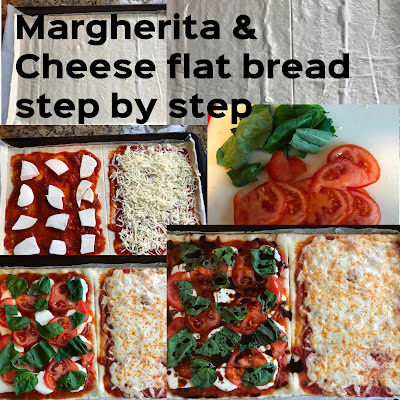 Her two grown daughters and grandkids live too far away for her liking, so she now pours all that nurturing into taking care of three fat and sassy cats and one highly spoiled dog. You can learn more about the author on her blog. 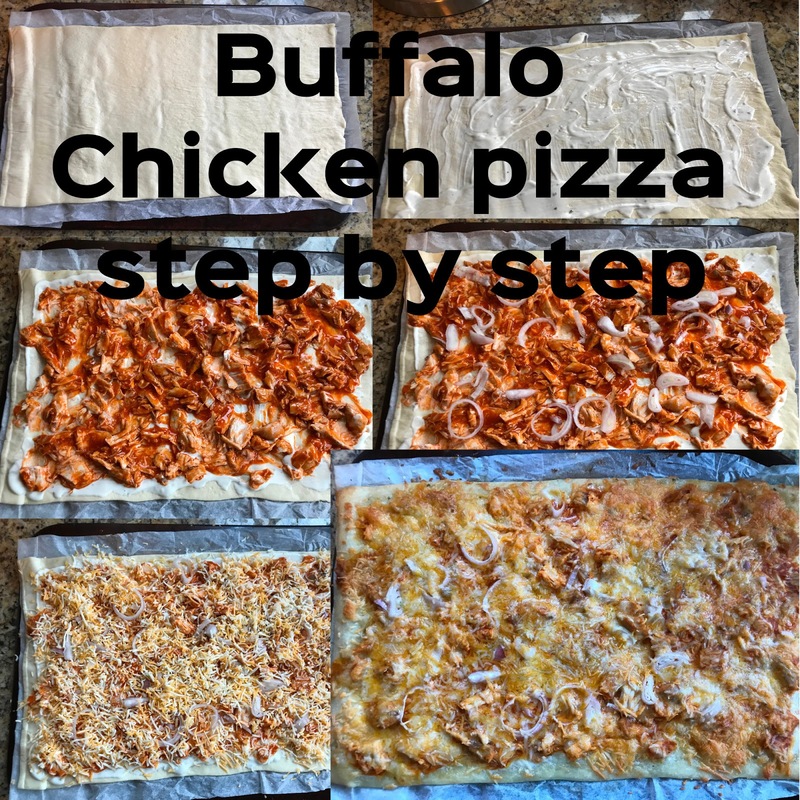 It is less than two weeks to Thanksgiving, which means the holiday season is quickly approaching. This morning we even woke up to a dusting of snow. I'm a little bummed that fall seemed to be cut short, but I could be ready for cozy clothes, fires, Christmas cookies and family evenings. 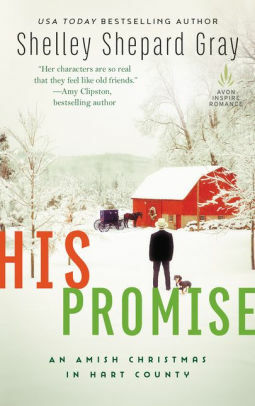 I recently had the opportunity to read His Promise: An Amish Christmas in Hart County, which also gave me a bit of a chance to glimpse forward to Christmas. I have enjoyed reading the Amish of Hart County series by Shelley Shepard Gray because you get the chance to catch glimpses of characters you met in the other stories. 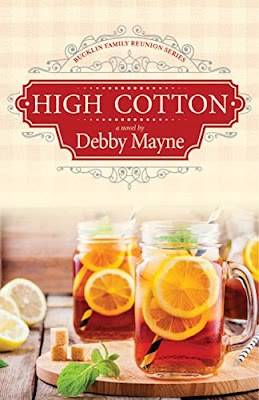 This book, sadly, was the last book in the Amish of Hart County series. Even as such, it can be read as a stand alone book, so don't worry if you have to catch up on the rest of the series later. The story focuses on the holiday season of Grace King. Having agreed to pet sit, she winds up being left behind while her family heads back home to see family that needs their help. As much as she was looking forward to being away from her family, while pet sitting, she wasn't really prepared for the loneliness of not having them in town. When the dog that she is watching wanders away, she learns that John Michael, a former beau of her sister lives next door. While separately at dinner in the local diner, they run into Dorma, a woman who they know from their youth whose family used to own the land where John Michael and the family Grace is pet sitting for live now. As the story unwinds, there is a good thread of suspense, balanced with love, compassion and self-discovery. The suspense keeps the story moving quickly along, as you want to learn a little bit more about the seemingly foul play around the fires and thefts that have been happening in the community. The characters that Gray develops are very likeable and although Amish, they face similar issues and are fully relatable. The temperamental dachshund, named Snooze, that Grace was watching was a lovable, relatable pup with his own agenda whose antics added a few laughs to the story. I really enjoyed this story and watching Grace grow through the course of the story as she discovers what is really important. 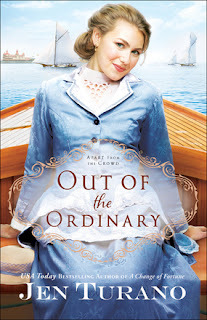 If you are looking for a good book to curl up with, I recommend checking out this latest from Shelley Shepard Gray (or any other of this series too). I'm not sure why, but we generally are terrible at being tourists where we live. When we head out of town, we do research and plan for the places that we might go and the things that we might do; but when it comes to staycations and finding things on the weekend, we seem be creatures of habit and return to the tried and true, rather than explore the local area. This summer, we decided to finally visit the Mansfield Reformatory, where Shawshank Redpemption and other films were filmed. It was a neat attraction full of information about the history of the facility and information about the films that were made there. It even had 'haunted' stories to share about paranormal experiences that others have had. This gem is right off the main road and only 45 minutes from home, but it took us 16 years after we moved here to finally check it out. 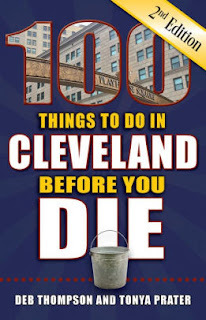 It's examples like this that found me jumping at the opportunity check out 100 Things to Do in Cleveland Before you Die; a guide that could help me as a local explore many activities and places that are close to home. The book is well organized, divided into 5 themed sections: Food and Drink; Music and Entertainment; Sports and Recreation; Culture and History; and Shopping and Fashion. Within each section there are several local places or events to check out, including a brief description or story about each. 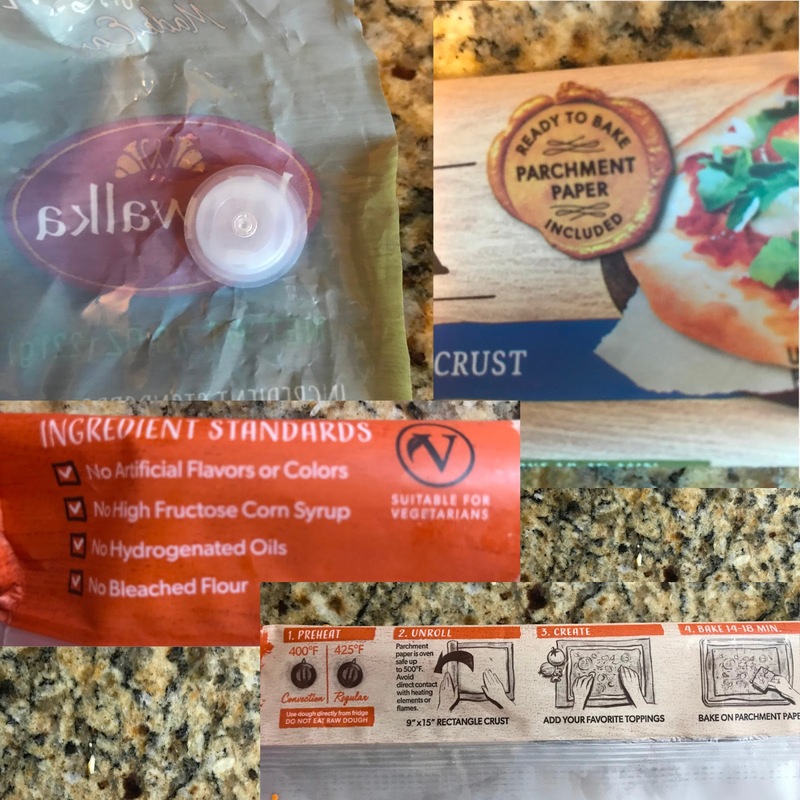 Also sprinkled in are tips with some other nearby things to check out. This format is easy to thumb through and check out some great options in (and around) Cleveland. Several of the listings actually include more than one place to check out, giving you even more than 100 things to check out. The locations and activities included are both everyday and special occasion activities, like the Summer Solstice Festival and the Woollybear Festival. At the back of the book there are suggested itineraries to explore, including one for date night or a family outing; a guide to the activities by season; and an index which makes it easy to look up something specific. I was pleasantly surprised to see a mix of some places/events that I have visited and some hidden gems that I have yet to experience. The guide would work well for both locals and out of town visitors, offering a mix of places that local residents may not have tried and places that visitors will want to check out. There are several new places that I look forward to checking out. The book is the perfect size to stash in the car so that we will be ready for the next time we are out and about in Cleveland. Located on the shore of Lake Erie, Cleveland is as diverse as the people that call it home and is finally being recognized as the gem that it’s always been. From family fun to romantic getaways there is something for everyone in the city that Rock and Roll built. 100 Things To Do In Cleveland Before You Die is the ultimate guide to finding the best things in the city and, for life-long residents, new ways to explore old favorites. This is THE guide for finding the best food, festivals, museums, outdoor activities, music and more. 100 Things guides you through the city like a local and shares what residents have known for years; Cleveland is the place to live or visit for a memorable experience. A melting pot of people and cultures, Cleveland is a place where you can find great food from a truck or from an award winning chef, home to some of the biggest sports fans in existence, world class museums and venues, an amazing amount of green space, and features public art around every corner. Browse the pages of 100 Things before you set out on your next trip to the city to experience something new. Deb Thompson is a freelance travel writer whose work takes her across the country to find the most unique attractions that destinations have to offer. An avid fan of the strange and bizarre, she enjoys nothing more than exploring the hallways of haunted locales, searching for Bigfoot in the great outdoors, finding aliens in Roswell and mixing it up with a great cocktail. You can follow her endeavors at JustShortOfCrazy.com. Tonya Prater is a travel writer with the heart of a nomad. Once a full-time RVer who dreams of reliving the experience, she is on a mission to find the fun, quirky stops scattered across the U.S. that most people drive past. Tonya shares her experiences at TravelInspiredLiving.com, which offers travel inspiration for the budget-minded. Fall has definitely struck. The days are crisp and blustery, the nights are cold. All the more reason to curl up with a blanket and a good book. This week I had the opportunity to read of another season...Summer Plans and other disasters by Karin Beery. This is the debut book by Karin Beery (and thus the first one that I have read). Told from multiple points of view, the book focuses on Callie's summer in Michigan at the light house. She is a teacher off for the summer who heads home to work and live with her brother and hopes to rekindle an old romance (in an attempt to answer some what-if questions that she has encountered). I love that Callie is a planner but as you know (or might have guessed from the title), plans don’t always work out the way we want. Sometimes things turn out better than your plans would have, but other times they don’t. Between the challenges of her plans, the need for her to manage outside of a plan and her perpetual klutziness (and perhaps a bit of ditziness), the book provides a lighthearted story that also provides for some great lessons for the characters. The author brought the characters to life through their own thoughts and the eyes of the other characters as she shifted telling the story from each of their views. I enjoyed getting to know Callie, a talented musician and teacher; Jack, her protective and loving brother; Ryan, her brother's best friend; and Stacey, a friend of Jack's that Callie becomes friends with. Through the course of the story, there were challenges, inner turmoil and reflection, long-standing and newly developing friendships, family, faith and humor. I wish I could have been on the beach reading this, but snuggled on my couch under a blanket, the author was able to transport me to the summer scene of the shore of Michigan. This was an enjoyable and fun book to read. I look to future books by this author, especially a sequel (please), so I can be part of the next chapter of this group's lives. Fall is upon us. 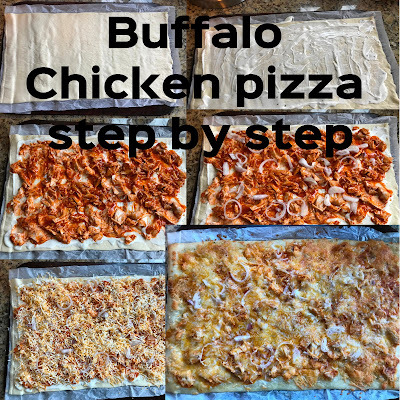 It has meant busy weekends and evenings, filled with back to school and fall sports. 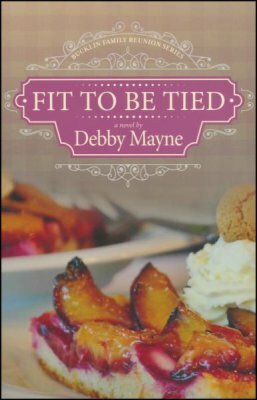 When I wasn't at one of the schools or the field for a game, I found some time to catch back up with the Bucklin family in the second installment of the Bucklin Family Reunion Series, Fit to Be Tied by Debby Mayne. Fit to be Tied was a well-written enjoyable story told from the viewpoint of five of the family members, some by birth, others by marriage. I really enjoy this style of writing and how the use of multiple viewpoints can engage the reader and provide additional insight into the family and their tales. The characters were relatable and enjoyable to get to know and the story was filled with a real perspective and a good balance of humor. The multiple points of view led to short chapters, which made it easy to ready in short or long installments. It seems that everyone outside the family is yearning to go and experience a Bucklin Family reunion, which unlike your typical family reunion, occurs on a multiple times a year basis. What balances that nicely is that it seems sometimes that there is a reluctance of the family to attend the reunion...but not wanting to miss out or be the topic of conversations, brings them all together. They certainly do family reunions on a grand scale, this one was multiple days and included lots of food and even a trip to the hospital. You can jump right into this second book in the series with no problem, as the author does a great job introducing the characters and building on their stories. But having read the first one, I really enjoyed hearing the continuing stories of the characters I met in the first book, while getting to know more members of the family. I look forward to the next reunion story in this series to see what new adventures await this family. Being rich is fine, but when wealth comes from striking oil, it's a slippery mess for a family who doesn't know what to do with it. The Bucklin cousins are all together again, and this family reunion is shaping up to be another disaster. Coralee falls for the police officer who pulls her over. Sally has finally found a guy, but now she's not sure a relationship is even worth the bother. No matter how hard Brett tries to avoid trouble, he somehow stumbles right back into the thick of it. And Marybeth and Bucky continue to fumble and bumble as they learn how to handle being rich. The Bucklin family is known for drama—and Bucklin family drama knows no bounds. It's been a while since I sat down and read a whole book in just two days. As a mom of two active kids with a full-time job, simply having that many hours to myself can be a feat. But, when you read a book that has a suspenseful, action-packed, fast-paced story that keeps you wondering what would happen next and it leaves you unwilling to put the book down once you start, it is very easy to do. From the very first page, I was pulled into the story in the recent release from Carol J. Post, Lethal Legacy. The pace of the story never slowed, even as the author provided the details necessary to develop the characters and share the back story. This book is the second one set in Murphy, North Carolina featuring a group of friends. This book follows Bryce's story. Andi's family has owned the house next door to Bryce's family home for generations and her dad and her would come up and stay when she was a kid. It had been 12 years since they saw one another when she came back following her parent's tragic death. When she arrives at the house, she finds that someone has broken in. Finding a cryptic note from her father in one of his books as she cleans up and then learning that her dad had been planning to visit Bryce to talk to him about something, leaves Andi wondering what the secret was that had been weighing on her dad. There seems to be danger lurking everywhere and she soon realizes that whatever her dad's secret, someone seems to be targeting her as a result. I found myself hoping that she would find more clues and solve the mystery, so that she could be safe. But, did like that with the break-ins and unexplained accidents and Bryce being a sheriff deputy, and generally feeling the need to protect her, they find themselves spending more time together and becoming friends again. I enjoy the way that Carol brings the characters to life, sharing about them as the story progresses and by telling the story from multiple points of view. The characters in this story are the type of people that I could easily be friends with. The story line was great and with the suspense, intrigue and a touch of love story, it was a very enjoyable read that I simply didn't want to put down. 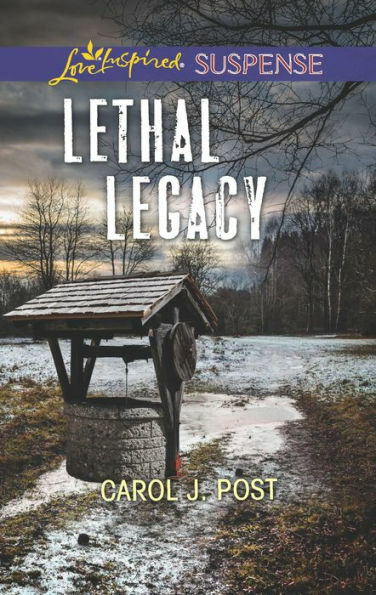 If you enjoy suspense stories, you should definitely check out this book and the others by Carol J. Post. As summer winds down, I have found myself back into the full swing of school and fall sports. On days where practice is short, I tend to stick around and read rather than driving back home. Which allowed me to read the newest from Shelley Shepard Gray, Her Fear this past week. Her Fear is the 5th in the Amish of Hart County series. Even though it is the fifth book in the series, you could easily jump in to the series with Her Fear. Some of the characters from the other stories are included, but are only minor characters. Sadie is the main character and her back story is sad. When she becomes pregnant and her boyfriend denies that he is the dad, rather than supporting her, her parents send her to live with her odd extended family that she hasn't met. As we learn more about her home life, it is clear that even with all the strangeness with her relatives, she is better off on her own than with her parents. The characters that Gray develops are like most of us, they are Amish, but fully relatable. The thread of suspense in this novel is not as suspenseful as in some of the other stories, but with the tense living situation, the unplanned pregnancy and scares she has there is plenty of uncertainty on how things will turn out. Her Fear is a story of hope. Sadie finds her self in a tough situation, but through her strength she finds hope and learns about the life she can have. The thread of an emerging love makes a nice balance to the suspense and gives the reader hope for Sadie's finding happiness. I look forward to reading more books by Shelley Shepard Gray in the future. 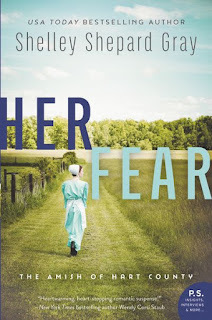 I recommend Her Fear to readers looking for a good story. Where has summer gone? The kids returned to school this week and we are back to our busy school time lifestyle. As summer wound down, I wrapped up the newest book by Kristi Ann Hunter, A Defense of Honor. A Defense of Honor is a piece of Regency Fiction, set in 1816 London and the nearby countryside. This first novel in Hunter's new Haven Manor series was a terrific story, that had a balance of suspense, compassion and love. The author does a great job transporting the reader in time and location, allowing us to feel a part of the story. The author does a great job of developing the characters at the right depth for connection with the endearing, unique characters within the story. In addition, there is a thread of humor which even further endears the reader. The book opens at a party, Graham is bored with the status quo of the social scene and follows a flash of green that is hiding behind a potted bush, a woman who we later learn is Kit. 'Though why would a woman wear such an eye-catching color if she intended to plant herself behind the potted shrubbery all evening? Plant herself behind the shrubbery. A grin crossed Graham's face as he chuckled at his own cleverness." "His palms started to itch...It was the itch of curiosity..at last, here was something new and unusual." From there the book takes off at a good pace and never stopped. It kept me fully engaged, as the characters paths cross paths later and the author explores the secrets going on in the book. I had a hard time putting it down, but was glad that it was a longer story that allowed me to be part of the experience for longer because even with that once I reached the end, I wanted it to continue (good thing is it is the first in a series, so another book will be coming). The story line was more unique than most of the period fiction books that I have read in the past. Even in those stories where the characters have a cause, they are less immersed in it than in this story. The women in this story have created Haven Manor into a world of it's own. The manor is filled with delightful, innocent, charming children, who despite their challenged background, of which they are unaware, they are being raised with love, the benefit of education exposure to art and music and life skills that will allow them to support themselves as adults. Kit's love and concern for the mothers and children that she helped was sincere, but since it was fueled through guilt she found herself justifying underhanded methods of providing for the children and the manor. It wasn't until the wrongness of the actions were pointed out by Graham that she reflected upon her actions, the way that she had justified the actions and devised a plan to undo the wrongs she had done to redeem herself. The book dealt with forgiveness, redemption, the issue of rejection, the challenges of societal norms and the reliance on God to see you through difficult situations. Overall, it was a great story. It found balance in the threads of secrets and mystery, friendship and love, and forgiveness and redemption. Hunter writes an engaging story and I can't wait to read more. I have thoroughly enjoyed all of the books that I have read by Kristi Ann Hunter and would highly recommend you check them out. I personally can't wait for book 2 in the Haven Manor series to see what comes next in the lives of the characters that I met and came to know in A Defense of Honor. I generally enjoy reading books that I can read quickly because they work well with my busy schedule and in completing them, there is a sense of accomplishment. But, I also enjoy reading longer books, where I can linger and be part of the characters' adventure for a longer stay. 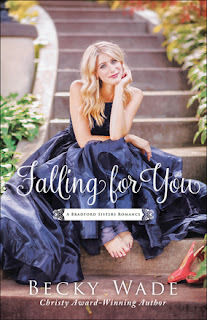 I most recently finished reading the great contemporary romance novel, Falling for You by Becky Wade. With the way that Becky Wade develops her characters and lets things unfold naturally, the reader can't help but feel like they know these people and want to spend time with them, experiencing the highs and lows of their emotions. You find yourself pulling for them to find resolution and happiness. I liked Wade's utilization of phone calls, e-mail, Messenger, and text message exchanges and text from the contents of Josephine's box at the end of each chapter to help transition and provide more context to the exchanges happening in the story. It not only keeps the story moving, but it also provided another way for her to showcase the witty banter and the flirting between the characters (even if it was one sided early on). It also made the book feel very contemporary, as compared to some contemporary books that are relatively 'timeless' in their setting. Falling for You was an enjoyable story filled with forgiveness, faith and second chances. There is a nice amount of suspense and mystery within the story, an anticipation that pulls the reader in wanting to know what they might learn next and whether there is a connection. It is when Charlotte asks Willow and Corbin to help her uncover the mystery of her grandma's sister's disappearance that they find themselves partnering and working together for the first time since their break-up. Through the time that they work on the mystery, they are able to reconnect and Corbin is finally able to get time with Willow to have the conversation that they should have had before they broke-up and share with her his perspective on the events leading up to their break up and how he acted. As they spend time together, he shares with her about his discovery of faith, his childhood and caring for his father. As the story winds down, there is still uncertainty, but we see true character shine through and discover the power of forgiveness. From the very first page, I was pulled into the story in the recent release from Carol J. 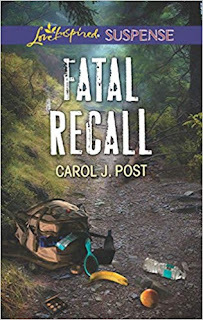 Post, Fatal Recall. The pace of the story never slowed, even as the author provided the details necessary to develop the characters and share the back story. I found myself unwilling to put down this suspenseful, action-packed, fast-paced story that kept me wondering what would happen next. The suspense was furthered by the fact that one of the main characters suffered from trauma induced amnesia and was as equally uncertain about what had happened and who was after her. As the story opens, Tanner Brody is in his kayak on the river, enjoying the peace of the natural setting in his new home state. The peace is shattered, first by gun shots and then by a woman's scream. A police officer, Tanner needs to find out what happened. He soon comes upon a woman who appears to have fallen, who has amnesia and probably a concussion. As he is trying to get her to medical attention, he soon discovers that she is still in danger as someone is following them and starts shooting at them. This danger fires up a sense of responsibility in Tanner, now not only does he need to get her medical attention, but also feels a need to keep her safe and help answer the questions surrounding her. Who is this woman? Who is searching for her and why? What is the box in her pocket? Does the tan line around her ring finger mean she is married or engaged or recently divorced? As the story progresses, the answers to the questions and more are slowly learned. Fatal Recall is a great suspense novel that does not shy away from themes of faith and Christianity. The author did a great job of weaving in the faith in a believable way. Tanner and Paige each had a difficult youth, causing them to each have trust issues and feel a lack of self-worth. As Paige remembers more about her self, one of the first things she remembers is how her finding faith helped her overcome her past. Tanner, because of his experiences, does not have confidence in God or feel the need for faith, but as he watches Paige and how she has faith in spite of her upbringing, we see him open to the idea and begin to discover faith. I thoroughly enjoyed every minute of this book from the danger, to the mystery, to the romance, to the discovery of the power of faith. It's been a while since I have read Amish Fiction, so I was glad to see The Road Home by Beverly Lewis arrive in my mailbox. 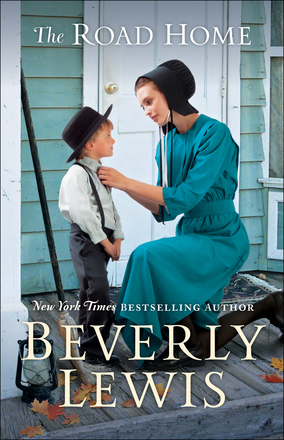 I think that in many ways, for me, Amish fiction has similarities with both current fiction and period fiction. Given their lifestyles and the old-fashioned courting rituals that they live by, as they live in the modern world and deal with many of the same challenges that others do. The Road Home was the first book I have read by Beverly Lewis. I liked her style of writing, the way in which she developed the characters and told the story. The book was a nice, easy read with chapters that were the perfect length for picking it up a chapter at a time. The story was sweet, and full of innocence. Lena Rose was thrust into an Amish community several states from home, with different rules and traditions than her own Amish community, and with relatives that she had never met, when her parents unexpectedly died. Separated from her siblings, she had to learn to cope with not being able to help them and be there for them, and find ways to bide her time until she could come home at last. She made some quick friends and quickly became a contributing and liked member of the new community. Lena Rose was hard to not like, such a sweet and considerate person that found many ways to serve others. I found myself hoping that things would turn out well (if not exactly as she anticipated) and found myself with tears in my eyes in more than one part of the story. As the story unfold, the reader saw just how resilient Lena Rose was, as she grew and adapted to her new world. I enjoyed this book and look forward to reading other works by Beverly Lewis in the future. Summer sports are in full swing at my house, but I have still found some time to read. I recently finished reading A Chance at Forever by Melissa Jagears. The book is part of her Teaville Moral Society series, but it reads well as an individual book. Set in Kansas in 1909, the book follows the story of Mercy, who helps run the local orphanage with her brother and sister-in-law and serves as a member of the local school board, and Aaron who has recently returned to Teaville to try to set things right with those he wronged as a bully when he was child. He has changed since he left Teaville and we meet him as he is applying for a teaching position at the local school. Mercy, one of the victims of his bullying, does not believe he has changed and does not want someone of his like to be allowed to teach. As fate would have it, while he is waiting on the decision of the school board, he finds a summer job that puts him at the orphanage as the gardener. He sees this as an opportunity to help show Mercy that he is a change man and hopefully, gain her forgiveness for the way he treated her as a child. The plot was engaging and made the book difficult to put down. The characters were easy to relate to and the type that you wanted only the best for. The story was a touching read that was well written with underlying messages of faith and forgiveness. It included a nice touch of romance and mystery, which were enjoyable and added to the appeal of the story. It was nice to watch how through self-discovery and awareness, Mercy was able to come to realize that she might be wrong that no man could ever love her or choose her as his. As the characters grew through the story, they gained new perspectives about others around them and helped show that it's never too late to turn to God and that through faith and conviction great things are possible. 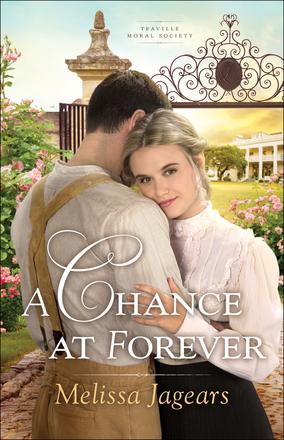 If you enjoy historical fiction or a simple love story, then this book is for you. Carol Award-winning author Melissa Jagears is a homeschooling mom who writes Christian historical romance into the wee hours of the night. She's the author of the Unexpected Brides series, the Teaville Moral Society series, and Love by the Letter, a free prequel ebook novella. You can learn more about Melissa, her books, and where she hangs out online at www.melissajagears.com. Spring keeps trying to overcome winter, but as is expected in early March, winter continues to rear it's head. The nice thing about a cold snowy evening is that it makes a great excuse to curl up on the couch with a blanket and a good book. During these recent cold spells, I found the chance to read a new book by Shelley Shepard Gray. The book was His Risk, the fourth book in her The Amish of Hart County series. The characters from the other books are mentioned, but as with her other books in the series, they are just minor characters in the book and the story focuses on a different set of characters, so you could easily jump in to the series with His Risk. Calvin has been working undercover in a gang. 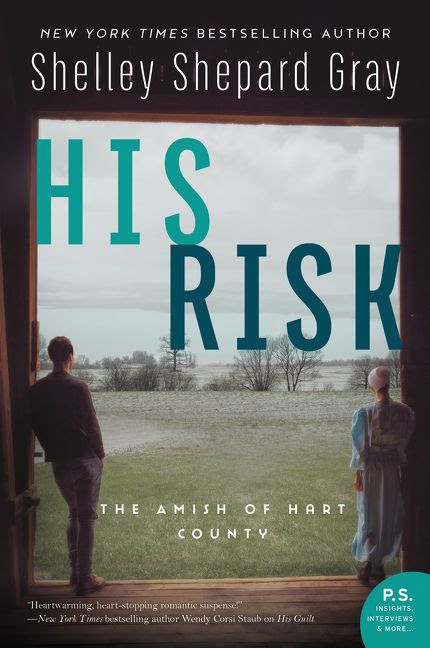 He takes a huge risk returning to Horse Cove, Kentucky when he finds out his brother is sick - he hopes his presence in his Amish brother’s home will not put his family or their neighbors in harms way. For Alice, life had always been good, sure she had made some questionable choices during her Rumspringa, but had left that time behind. She enjoyed her life as a preschool teacher and the opportunities to be on our own and watch over her brother's houses when they travel. Alice and Calvin grew up in the same community, but knew little of each other and their lives growing up were very different. His Risk was a good story, that pulled me in quickly. I found myself wanting to read just one more chapter, to see what happened next and to know how the issues at hand would resolve. I was expecting a little more suspense and mystery, like in the other books from the series, and although present, it wasn't as prevalent as it had been in the other books. In the case of this story, there was a sprinkling of suspense in the story but more so present as an open question of whether Calvin could move past the new life that his choices had brought upon him and find happiness. His Risk was a good book and I look forward to reading more from Shelly Shepard Gray. Learn more about the book and check out other reviews on the blog tour landing page. I have been jumping between genres recently and this past week have been reading a piece of Edwardian fiction, in which I have been deeply engrossed - A Song Unheard by Roseanna M. White. 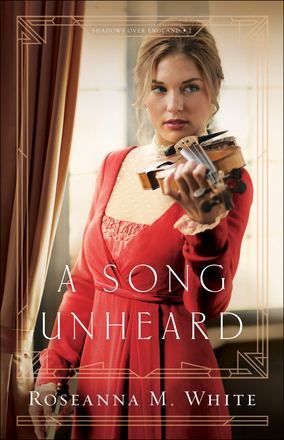 A Song Unheard is the second book in the Shadows Over England series and is set primarily in Wales in 1914. This story is a stand alone story, but if you had a chance to read the first book in the series, A Name Unknown, this book offers a chance to catch a brief glimpse of those main characters, but more so, focused on the story of another member of the family. Willa has a love for music, spending time catching practices of the symphony in London and playing on a well-loved violin. So when Mr. V offers a role that has her spending time with famed violinist Lukas De Wilde to locate a highly sought cypher key, she knows that she is the right person for the job. The author did a good job developing characters through the progression of the story, continuing to reveal things about some of the characters right up to the end of the story. Lukas is intrigued with Willa the moment he sees her on the street, assessing the building in ways similar to how he has seen his sister assess things. When he learns that she is a violin prodigy, he offers her lessons as a way to get to know her and spend more time with her. Willa is determined not to follow the path that Rosemary did and fall for her target, but she needs to spend time to get to know him to get close enough to locate and steal the cypher key. Suspense and danger is woven throughout the story. We get the sense of the danger faced by Willa when she finds herself not alone on her quest and the ongoing danger faced by Lukas' family who is hiding out from the soldiers, even with one sharing the same house. When it seems that she will not succeed in completing the job and is caught in a place she shouldn't be, Willa confesses to Lukas and changes the dynamic between them. The story isn't over at that point though bringing more into the story as the danger intensifies and more secrets come out, making the story even that much more intriguing. Through her vivid descriptions of the settings, both internal and external, the author is able to transport the reader to another time and place. Her story was so engaging that I found myself not wanting to put the book down, resulting in me yet again staying up later than I should simply so I can read a little more. The book had the perfect balance of danger, friendship and courtship, romance, mystery, deception, intrigue and faith.